I Am Selling My Home. What Do I Need to Disclose to Buyers? One of the most controversial forms in real estate today is the Seller Property Information Statement (SPIS). Listing agents will often present sellers with this form but the sellers quickly see that the form asks them to provide answers to questions that are well beyond the knowledge of the average home owner. Many require technical or legal knowledge and therefore can potentially place a home seller at risk of innocent misrepresentation. Are there any encroachments, registered easements or rights-of-way? Does the survey show the current location of all buildings, improvements, easements and rights-of-way? Does the subject property comply with the zoning? If not, is it legal non-conforming? Will the sale of the property be subject to GST? Is the property under the jurisdiction of any Conservation Authority? What is under the carpeting? Are you aware of any moisture and/or water problems? Is there any lead or galvanized metal plumbing on the property? Is the wiring copper, aluminum or knob and tube? Are you aware of any structural problems, non-compliance with the Ontario Fire Code or insect damage? Are you aware of any problems with the air conditioning, plumbing or heating systems? 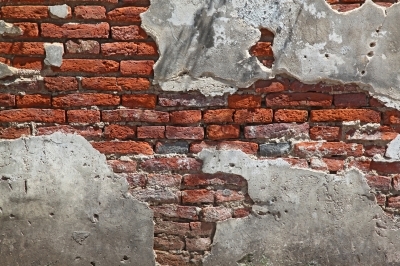 An example of a latent defect - which MUST be disclosed to the buyer - is a crumbling foundation. The law in Ontario states that sellers of a real estate property do not have to disclose any hidden defects in a house unless these hidden defects make the property dangerous or unfit to live in. In this case, such a defect is called a latent defect. Latent defects could include mould problems, structural damage or a leaking roof. In order to be liable, the seller must have had knowledge of the defect prior to the sale. If there is knowledge of such a deficiency then the seller must disclose it after the Agreement of Purchase and Sale has been signed and before the sale closes. There is no law in Ontario that makes a seller obligated to disclose if there has been a suicide, murder or ghosts on the property. However, Realtors must obey RECO rules and regulations and these require them to disclose any material facts that affect the value of a property. Therefore, if the real estate agent knows of such an event, they are required to disclose such information to interested buyers. there is some statutory or regulatory requirement that this disclosure be made. Signing a disclosure statement in Ontario such as the SPIS is therefore voluntary. Agents sometimes recommend filling out and signing the SPIS because they believe that if this form is not made available, then potential buyers will wonder what the sellers are trying to hide. In most cases however, the rule is “caveat emptor” or “buyer beware”. That’s why buyers should always get a home inspection and ask as many questions as possible while completing their due diligence before signing the Agreement of Purchase and Sale. If you would like a professional Realtor to help you sell or buy a home, I would be happy to help. Or, if you have questions about disclosure or any part of this blog, please contact me at steve@stevewalsh.ca. Thanks for your question. Did you work with a real estate agent when buying your home? He or she should be the first person you consult. If you bought your home privately, then this situation is best taken up with your lawyer.